I read this book after seeing the movie. (I know, treason!) For the past few months it had been on my “Must Read Immediately, No Really, I Mean Now” pile. Which typically consists of ten or so books. At the moment there are 14. 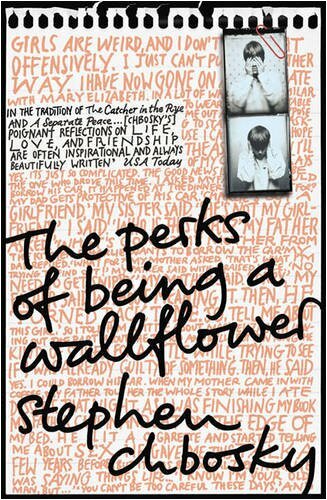 Perks finally made it to the top: here’s what I thought of Chbosky’s YA classic. Charlie has always felt like a bit of an outsider. He’s just not sure he fits in anywhere. So he writes to us as he observes his fellow students, waiting for an opportunity to be a part of something. Perks is Charlie’s conversation with us about a year in his life. A year of new friends, of first loves, of great teachers. A year with some experimentation and more than a few mistakes. Of new experiences, new hurts and new triumphs. It’s just a year, and to an outsider it might seem unremarkable. But to Charlie, and those of us lucky enough to read his letters, it’s unforgettable. When Charlie meets Sam and her brother Patrick, he begins to discover how different – and amazing – things can be when you see them as part of a group rather than from the outside, looking in. Perks’s centre is a delicate, gorgeous plot that revolves around Charlie’s very familiar teenage struggle to find his place in the hierarchy of school, and to find those people who will be a part of his life. If I Was Someone Else, Would This All Fall Apart? New York in the 1920’s is an intoxicating miasma of old and new, tradition and progress, high society and low sobriety. It’s a time of probibition (hah! ), ghost stories, flappers, gradual racial integration, and boundless optimism about the future. 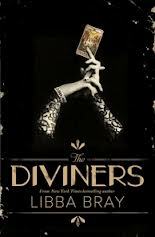 Evie O’Neill is being punished – sent away from her home in Ohio to live with her Uncle Will, after causing a stir in her home town with her slightly spooky psychic party tricks. But when Uncle Will lives in the middle of the hip New York City, along with one of Evie’s best friends, Mabel, it’s a punishment she can bear! She’s looking forward to dancing and drinking and crushes and excitement. After all, NYC is a city of endless possibilities.